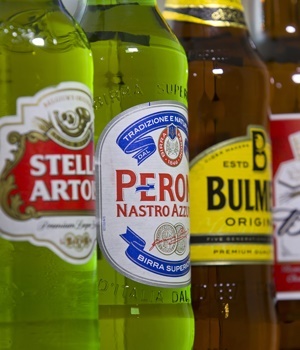 Harare – Social media is abuzz in Zimbabwe after the country's biggest brewer and Anheuser-Busch InBev associate unit Delta Corporation said it is running out of ingredients for the manufacture of soft drinks and alcoholic beverages, raising fears beer could run out in the next few days. This is because Delta Corp, one of the largest companies on the Zimbabwe Stock Exchange, is unable to import concentrates and other ingredients for its manufacturing lines owing to difficulties in paying foreign suppliers. Zimbabwe is battling foreign currency shortages due to an ongoing liquidity crunch. Delta’s production of the opaque Chibuku traditional brew has also been affected, and officials say they are left with only a week’s supply. Traders in Harare say some beer products have already been in short supply in the past few weeks. They expect the situation to continue or worsen after Delta officials said ingredients had run low. Others have blamed the government of President Emmerson Mnangagwa for the foreign payment bottlenecks companies are facing. Mnangagwa came into office in November last year after the ousting of former leader Robert Mugabe, and has pledged to turn the economy around. “This is a catastrophe, why don’t you stop manufacturing soft drinks so that you can make more beer,” tweeted Primrose Dzotswa in response to the development. Zimbabweans have also taken to WhatsApp to discuss their fears over the possibility of beer running out. They said beer is a key product in de-stressing from the country’s economic problems. On Wednesday Delta Corp spokesperson Patricia Murambinda told state media that “the supply of Coca-Cola concentrates and other imported materials remain critical” for the business. “This is a similar situation with Chibuku where our supplier of Chibuku Super bottles has to import resin, a key component of the bottle,” she explained. The company has also said it has a foreign payments backlog, a situation business executives say is also affecting several other companies. The Reserve Bank uses a priority list in clearing foreign payments for Zimbabwean corporates and state entities. “This is impacting on our production operations. We continue to make presentations to RBZ and our banks for priority forex payments,” said Murambinda.